Home/property inspection services in Lee County, you get advantage from our most professional and certified Coastal Home Inspectors that provide reports which exactly meet or exceed the state standards. 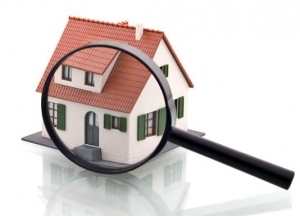 A home inspection is a visual analysis of all exterior and interior structures of the home. Hire our professional Lee County Home Inspection Service at the very low cost and in the best way of your home inspection carefully. We always help our valued customer to get your home inspection and its element before buying and selling agreements. Our home inspectors are all very skilled and conscious in an impeccable home inspection. At coastal home inspectors, A lot of home inspection in Lee County inspected by our skilled home inspectors. Our home inspectors work durable for you than another home employee. Our professional Lee County Home Inspection service have conferred attention in ensuring your satisfaction and complete peace of mind. Our all home inspectors have the same level of dedication for you and in home inspection. Our home inspectors inform you about every flaw in your home and their inspection will be thorough. Our professional home inspectors give you the accurate report of inspected area which will help you make a good and healthy decision. Our professional home inspectors discuss in a good manner with our respected clients. At Coastal Home Inspectors, our home inspectors use latest tools and equipment to inspect your home thoroughly. So whenever you are going to buy a home in Lee County. Get our Lee County home inspection services to condense your risk or tension. Our home inspector will inspect every component and structural base faults of your home with great attention and efforts. Our home inspectors examine every system in your homes such as electrical system, cooling system, drainage system, gates, roofing system, plumbing system, heating system, basement water system and every part of your home. At Coastal Home Inspectors, we are not only serving you with just our home inspection services in Lee County. We are also offering you by our other inspection services which are Residential Home Inspections, Condo Inspections, Commercial Buildings Inspections, Newly Built Home Inspections, and Building Apartment Inspections. We feel much proud in offering all these inspection services to our respected customer at the very affordable amount. We are here for helping you in this kind of services. Coastal home inspectors have the best services in Lee County where you can complete all your requirements. We at Coastal Home Inspection, when the inspection is over, our professional home inspectors prepare a comprehensive report in which mentioned all the good and bad factors regarding the home with understandable and informative wording. In our home inspection report, our home inspectors giving you all of the impaired area picture attached with the computerized report. Our professional home inspectors are trusted by home buyers to help them to make a healthy decision in buying a home.